Jose Mourinho is sweating over the fitness of Nemanja Matic and Luke Shaw as the Manchester United duo remain doubts for Saturday’s crucial trip to Chelsea, according to Sky Sports News. 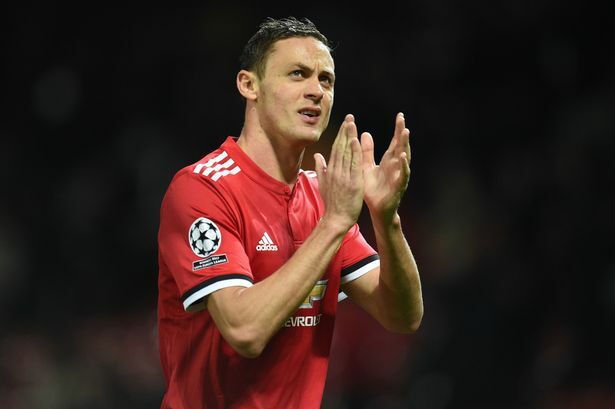 Matic was forced to withdraw from the Serbia squad earlier this month and missed his countries Nations League matches against Montenegro and Romania last week after suffering a back injury during United’s dramatic 3-2 victory over Newcastle United. The midfielder has been undergoing treatment at the club’s Carrington training base during the international break but Sky Sports News claims Matic is struggling to overcome the issue and remains a doubt for United’s trip to Stamford Bridge on Saturday lunchtime. It would be a big blow for Mourinho if Matic was ruled out of the game against his former club as the Serbian has been a key player for United once again this season having started in every game he’s been available for so far this campaign. United are also concerned over the fitness of Shaw as the left-back is continuing to undergo treatment on an ankle injury which he sustained last weekend and he too remains a doubt to face Chelsea. Shaw withdrew from the England squad last Monday ahead of their Nations League games with Croatia and Spain and he’s now facing a race against time to prove his fitness before Saturday’s huge trip to west London. The former Southampton man has forced his way back in to Mourinho’s first team plans this season having started in seven of United’s eight Premier League games so far so it would be another blow for the Red Devils if he was ruled out of the Chelsea game. Jesse Lingard and Ander Herrera are also carrying knocks so Mourinho will be praying the likes of Paul Pogba, Romelu Lukaku, Marouane Fellaini, Victor Lindelof, Fred and Eric Bailly come through their international’s today unscathed.